Director Hong Sang-soo’s latest film starring his muse and lover Kim Min-hee will hit the local theaters on April 25. Distributors for the drama, which has a highly-decorated actress Isabelle Huppert as the titular main character, has released the main trailer and the poster for the film. 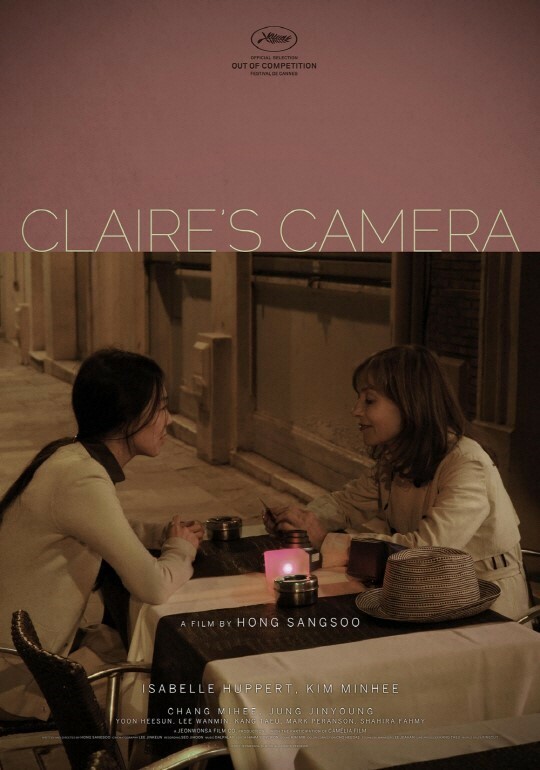 It features a conversation between the leading ladies, Huppert and Kim -- playing Claire and Man-hee, respectively -- about why Claire takes pictures. “Claire’s Camera” was shown at the special screening section of the 2017 Cannes Film Festival and was released in France on March 7. Locally, Hong and Kim made headlines for their much-publicized love affair last month. The extramarital affair seemed to have died out when it was reported that the two had split, but such speculations were promptly debunked by Hong’s public denial.